On 14 February 2014 a court ruling was passed in northern Spain which considerably strengthens the role of local and European works councils in restructuring matters. The case, filed by the Tenneco works council, came before the Asturias High Court of Justice in Oviedo (photo) who ruled the reinstatement of all 216 dismissed employees in the coastal town of Gijón. On 21 January 2014, the court had already prevented the evacuation of machines and equipment. Although the case involves the relocation of only a small plant it has a Pan-European legal significance. In the opinion of the Spanish judges the decision to close the Gijón plant had already been taken irrevocably in September 2013 at the company headquarters in Illinois before any process of informing the European employee representatives had at all begun. Although central management offered to finance a consulting firm chosen by the European works council and to extend the consultation period by one month, economical alternatives to the plant closure had not been seriously discussed. The court considered this to be a breach of the law. Any consultations in such a context are useless and therefore ineffective; without effective consultation no dismissals can take place. Production has to be resumed before 25 April 2014 at the latest and all wages paid for the period since the production stopped on 23 December 2013. In France, the motherland of the consultation model, such court rulings are often on the menu as most recently was the case with Sanofi, the pharmaceuticals company, in March 2013 (see report in EWC News 2/2013). Philips, the Dutch electronics group, also made the experience in February 2010, when a plant closure was stopped by court proceedings (see report in EWC News 1/2010), as well as two French banking groups, whose merger was temporarily blocked in July 2009 (see report in EWC News 4/2009). In November 2006, the Gaz de France European works council blocked a merger for nearly one and a half years and in the meantime was able to negotiate a type of European compensation agreement (see report in EWC News 1/2008). All of these cases are to do with the formally correct manner of executing a consultation procedure and which, under French standards, can only be concluded once the local or European works council has rendered a written and economically justified opinion (see report in EWC News 3/2011). In Spain, the jurisdiction appears to be turning in the French direction. The Supreme Court of Justice in Madrid also made a similar ruling in March 2013 (see report in EWC News 2/2013). An exactly opposite court decision was reported in April 2013 in Latvia. In the opinion of the Supreme Court of Justice in Riga an incorrectly or not even accomplished consultation procedure does not give any entitlement to compensation or to the cancellation of dismissals. An understanding of the French consultation model, on which the relevant European Union Directives are based, is also lacking in Germany. The Tenneco case reminds us of the US automobile supplier Visteon, whose EWC could not obtain a ruling before the Higher Labour Court in Cologne to provisionally stop dismissals in Spain in September 2011 (see report in EWC News 3/2011). This raises the question of when the European Court of Justice will resolve the issue. For the first time in September 2009 judges in Luxembourg defined more clearly the correct sequence of steps in a consultation procedure (see report in EWC News 3/2009). A EWC seminar is taking place in Kassel from 29 September to 2 October 2014 which will examine the legal basis of information and consultation particularly from a restructuring angle. The seminar is also suitable for SE works councils. Since 6 October 2012, the European works council of HSBC is no longer in existence. Europe’s largest bank with 270,000 employees world-wide and 7,200 branches now has to negotiate the establishment of a new EWC on the basis of new EU-standards. This follows the termination of the old agreement, dating from September 1996, by unanimous decision of the employee delegation. There had been criticism for many years on central management’s unwillingness to carry out correct information and consultation procedures with the EWC. Termination of the EWC agreement was triggered by the closure of a shared service center in Ostrava (Czech Republic), in September 2011, without any consultation of the European works council. Legal action against this was impossible since old "voluntary" agreements, based on article 13 of the old EWC Directive, cannot be legally enforced in the United Kingdom. EWC members therefore saw no sense in continuing their work on this legal basis. The EU Directive does not make any provisions after the termination of old "voluntary" agreements. Now, the only way ahead is through a special negotiating body (SNB), which has three years to negotiate an authentic EWC agreement. In the meantime however, there will be no European works council in place. The HSBC SNB was established on 5 March 2013 and further meetings took place with central management in November 2013 and March 2014. As yet, there has been no outcome to negotiations, but the deadline is not until October 2015. Failing this, the subsidiary requirements of the British EWC legislation (TICER 2010) will apply and a "default EWC" established. The airline easyJet is an example of how well this can really lead to good working conditions (see report in EWC News 3/2012). Since 24 January 2014, Hewlett-Packard’s European works council is no longer in existence. Negotiations on the renewal of the old EWC agreement had failed a few days before Christmas. The EWC had given 18 months notice of termination in July 2012 and taken the company to court in Brussels on the grounds of unsatisfactory information on planned collective redundancies (see report in EWC News 3/2012). In December 2012 both sides agreed to settle the legal dispute. Central management committed to conclude a fully-fledged EWC agreement based on the new EU-Directive within a year thus bringing an end to the legal uncertainty of the old "voluntary" agreement. In return, the employee side accepted British jurisdiction for the EWC which so far has been under Belgian legislation. In the course of 2013 there were several rounds of negotiations, in which central management showed however, no readiness to seriously adopt the new EU-standards. There continued to be no correct consultation and experts were not paid. Management was presumably hoping that employee representatives would lack the courage. They however accepted the dissolution of the EWC, since the new consultation standards were more important to them than to continue with a senseless "song and dance act". A few days after the dissolution of the EWC eleven countries had already submitted an official request for the establishment of the special negotiating body. Central management must therefore convene the constitutional meeting, before 27 July 2014 at the latest. If the SNB is convened in time, the deadline for negotiations will run until January 2017. Should the negotiations fail or if the SNB is not convened in time, then a EWC will be established on the following day, based on the subsidiary requirements of the British EWC legislation (TICER 2010). The former EWC chairman of Hewlett-Packard will present a background report on the case at a works council conference to be held on 30 June and 1 July 2014 in Munich. 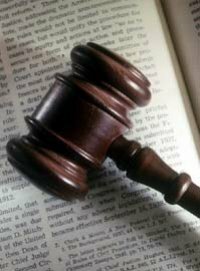 Legal background: How to avoid EWC dissolution? A scenario similar to HSBC or Hewlett-Packard is theoretically possible in over 400 companies. According to article 14 of the new EWC Directive (article 13 of the old), all agreements concluded before 22 September 1996 or those which were updated between June 2009 and June 2011, are not covered by the legislation. This concession given to the employers' associations in the legislative process is aimed at discouraging the termination of old "voluntary" agreements. The works council can be missing for a period of up to three years. The only possibility of avoiding dissolution of the EWC and nevertheless integrating the improved standards of information and consultation is by using article 13 of the new EU-Directive on renegotiation following changes in company structure. However there is no clear definition of when these circumstances should apply. As yet there is no case-law. This question will be discussed during a EWC legal seminar to be held in Würzburg from 28 to 30 October 2014. English interpretation will be provided on request. On 1 January 2014 a new decree on works council (Comité d'entreprise) rights came into force in France reshuffling the consultation procedure. The decree defines a time-limit for the rendering of an opinion and regulates the scope and procedure for communication of business data. The regulation is part of the disputed socialist government's anti-crisis policies (see report in EWC News 1/2013) and is being closely observed across Europe, since the French consultation procedure was the blueprint for the EU Directive on European works councils. The rendering of an opinion by the works council has an important legal significance for the entire procedure. The employer is not obliged to take the works council’s suggestions into consideration but must nevertheless wait for the opinion before implementing any measures so as to theoretically take them into account. In other words: redundancies are only possible and will only stand up in court once the consultation procedure has been correctly carried out and concluded. French works councils are therefore keen in trying to delay any opinion until the employer concedes some form of compensation. Negotiations therefore always take place before any opinion is rendered. Herein lies the secret of French labour relations, which when used intelligently, can produce similar results to German co-determination. With a view to speeding up the implementation of restructuring, the entire procedure has been accelerated. The parties are to mutually agree on time-limits before the beginning of a consultation procedure. If no agreement is reached, a limit of one month for the rendering of an opinion is fixed. Should the works council commission a consultancy firm, then the period is automatically extended to two months. In some cases, which are legally clearly defined, it can also stretch to three or four months. These time-limits apply however only to French works councils. European works councils can continue to take as much time as is required (see report in EWC News 3/2011). The period begins once the employer has communicated all the information concerning its plans. Since there is often conflict on the scope of data and on the starting-point of the period, this has also been regulated in the decree. Following the assignment, the expert has three days to request additional documents which the employer must communicate within another five days. The works council may request a court injunction, to suspend the time-limits if it has received insufficient information to enable it to fully understand the economic situation. Now new is the possibility for the employer to act freely once the deadline has passed even if the works council has not yet formulated its opinion. German works council members are familiar with these dispositions in measures affecting individual employees. The new French legislation on consultation will be presented by a French consultant during the EWC seminar to be held in Kassel from 29 September to 2 October 2014. The Goodyear tire plant in Amiens (northern France) shows how the former French legislation on consultation can work out in practice. Since 2007, the works council has been able to prevent the closure of the plant with its 1,200 employees, by refusing to render an opinion. Over and over again the courts ruled that employers had made procedural mistakes in the consultation process (see report in EWC News 4/2009). On the long-term however, the closure cannot be stopped. In January 2014 managers were taken hostage ("boss napping") in the struggle for better compensation during negotiations on the social plan. On 27 March 2014 the so-called "Loi Florange" was partially invalidated by the Constitutional Council since it violates property rights. This law obliges companies to first seek a buyer who is prepared to resume production before the closure of any economically viable site. Otherwise financial penalties could have been imposed. The law was a reaction to the closure of the ArcelorMittal steel plant in Florange (Lorraine) and was an election promise made by François Hollande (see report in EWC News 3/2013). With a ballot turnout of 98% and a slight majority of 712 against and 626 for, the employees of the Volkwagen factory in Chattanooga (Tennessee) voted from 12 to 14 February 2014 against the recognition of UAW, the US automobile trade union and against the establishment of a local works council. The ballot was supported by substantial campaigns from the Republican Party and financed by lobby-groups, who portrayed themselves as "freedom fighters" against "German Mitbestimmung". In their words, the factory would get more orders if the employees turned their backs on trade unions. In essence however it came down to avoiding a precedent in the trade union-hostile Southern States. The world works council has been trying to set up employee representation since the plant was built in 2011. It is the only Volkswagen plant in the whole world with no employee representatives. Even in China there are representative structures, although (still) not in the western sense. If the workforce had agreed, it would have been the first German-style works council on US soil. In the USA there exists a whole industry of consultancy firms, who call themselves "Labour Relations Consultants", but who are actually "trade union busters" set out to torpedo any attempts to establish employee representation. They have a yearly turnover of several hundred million dollars and are increasingly active also in the United Kingdom (see report in EWC News 3/2010). There are however also European companies, which behave correctly within the EU but use the situation in the USA to violate international labour standards. This was revealed by an investigation from Human Rights Watch, the human rights organization in September 2010 (see report in EWC News 3/2010). The Secretary-General of Volkswagen’s world works council will present the events at a EWC conference to be held on 30 June and 1 July 2014 in Munich. The Danish Industrial Court passed a ruling on 20 February 2014 concerning a labour dispute on the enforcement of Danish industry-wide collective agreements for foreign sub-contractors. Polish painters had been sent for three months from a company based in Germany to Aarhus, for the renovation of a hotel. When the German company refused to sign the Danish collective agreement on 29 November 2013, and continued to pay them dumping-rate wages, the painters union organized strike pickets and sympathy strikes. The German company went to court to challenge the action, however in vain. Whereas, in a similar legal case in Sweden, the European Court of Justice 2007 had prohibited such strikes (see report in EWC News 4/2007), the current court decision from Copenhagen is a victory for the trade unions. The automobile supplier, ZF Lenksysteme, established in Schwäbisch Gmünd in Southern Germany has a European works council in place since 12 December 2013. The joint undertaking founded in 1999 belongs 50:50 to Bosch and ZF Friedrichshafen. The EWC represents three countries in Europe: Germany, Hungary and France. The plant in the United Kingdom was closed in 2011. So far the workforce had neither been represented by the European works council of Bosch nor by ZF Friedrichshafen (see report in EWC News 1/2013). The next EWC meeting is planned in Hungary, where an additional manufacturing plant is to be established. A EWC agreement for Gorenje was signed on 18 December 2013 in Velenje, Lower Styria. It represents the first EWC under Slovenian jurisdiction. In Yugoslavia, Gorenje was already one of the largest manufacturers of gas cookers, washing machines and dishwashers. With over 11,000 employees it is one of the largest employers in Slovenia today. There had already been regular information and consultation meetings since 2007 including representatives from Czechia, but as yet no real EWC. The EWC was constituted in January 2014. It meets twice annually and has 18 members, including ten from Slovenia. One seat each is allocated to Denmark, Sweden, the Netherlands, Germany, Austria, Czech Republic and Croatia. Serbia has a guest mandate. The steering committee is made up of four members. Otherwise the EWC agreement adopts all the provisions of the new EU-Directive. According to Slovenian legislation, Gorenje also has a supervisory board consisting of six shareholders and four employee representatives. The chairman of the Slovenian works council is a member of the supervisory board and holds the chair in the special negotiating body. In 1993 Slovenia had already closely adapted its labour legislation on the German and Austrian model. On 4 February 2014 a EWC contract was signed for FerroAtlántica in Madrid under Spanish jurisdiction. The only steel group under Spanish ownership has plants on the Spanish Atlantic coast and in France. Its scope is therefore limited to only two countries. The members come however from different sites and subsidiaries. A EWC was last established in Spain in November 2013 (see report in EWC News 4/2013). The country has still a lot of catching up to do. The EWC agreement of Tenaris was updated on 23 October 2013 at a meeting in Zalău (north Romania). The EWC was established in December 2008 under Italian jurisdiction. It will continue to be made up of eleven members, meeting once annually: eight from Italy and three from Romania. What is new is the right to training and the definition of information and consultation taken from the new European Union Directive. The steering committee is to be increased from two to three members. Trade unions have been demanding the integration of four further countries from outside Europe which play an important role in the company (see report in EWC News 4/2009). An updated EWC agreement for Rockwell Collins was signed on 14 February 2014 in Heidelberg. This avionics manufacturer has had a EWC in place under British jurisdiction since 2001 following the split-up of the former Rockwell International conglomerate. The text bore a typically British hallmark of the early phases of EWC establishment. A European forum existed already in 1996 under the umbrella of the conglomerate. For employee representatives the progress in the new EWC agreement is twofold. On the one hand it falls under Luxembourg jurisdiction and no longer under employer-friendly British jurisdiction; on the other, the new EWC Directive has been fully integrated. Plenary meetings can take place up to twice per year, and the steering committee is made up of five members. The EWC includes representatives from Germany, France, Luxembourg, Sweden, the Netherlands and the United Kingdom. The council is advised by the EWC Academy (see report in EWC News 4/2013). A substantially revised EWC agreement based on the standards of the new European Union Directive was signed for Air Liquide on 26 March 2014 in Paris. The French company has had a European works council since 2000 which is now to be extended from 28 to 30 members. Seven of them come from France and three each from Germany and Italy. In the future the steering committee will be composed of five members who must come from different countries. EWC as well as committee meetings take place twice annually. The EWC can ask the French Group works council’s consultancy firm for European-wide business analysis. All costs are borne by central management, and in addition, the steering committee gets its own annual budget amounting to 10,000 € for unscheduled translations, travel activities or external counseling. Since the EWC lies under French jurisdiction, it is chaired by the employer. The central management has four representatives: the CEO, the HR Director and two additional top executives. We have arranged here a selection of EWC agreements on a website for download. The Axel Springer group has been operating as a European Company (SE) since 2 December 2013. Since participation rights are restricted in media companies in Germany as part of the so-called "Tendenzschutz" (special protection of enterprises in the field of politics, press, education and churches), there were no employee representatives on the supervisory board. In the course of the SE conversion this situation has been frozen for the future. The Axel Springer SE remains the only German company listed on the M-DAX stock index without employee representation on the supervisory board and comes under strong criticism from the ver.di trade union. The special negotiation body (SNB) was composed of 20 members, including eight from Germany and one each from the additional twelve countries. Germany with over 9,300 employees represents almost 80% of the EU-workforce, followed by France, the UK and Hungary. Since there had not yet been any European works council established, the first meeting of the SE works council on 4 March 2014, was totally new. It has 15 members, since countries with small workforce are not represented. Plenary meetings take place twice annually, the steering committee meets likewise twice per year. A SE participation agreement among the best in Europe was signed at the headquarters of the SAP group on 10 March 2014 in Walldorf near Heidelberg. It confirms the trend in recent years, whereby SE negotiations have produced increasingly better results and as a result more and more often surpass EWC agreements in quality. The SE works council for instance, can hold regular meetings four times annually. In the future SAP will have a parity-based supervisory board with 18 members. At present, SAP’s German supervisory board is composed of only 16 members but it would have soon grown to twenty without the SE conversion. The figure of 18 members in a SE supervisory board has only ever been reached in one case: the RWE Generation SE, the electrical power supplier where there are even twenty seats (see report in EWC News 4/2013). Generally speaking however, in the process of SE conversion, the supervisory board is usually reduced from twenty to twelve seats in such large companies. This was also explicitly requested by SAP management but will only be possible after five years, at the earliest, and will be subject thereafter to renewed discussions. The nine employee representatives include seven from Germany, one from France, as the country with the second largest workforce, and one representative from an additional country, in this case Slovenia. Since the European works council was first established in November 2011 (see report in EWC News 4/2011) it had only held one single meeting. It is now replaced by a SE works council composed of 34 members, including seven from Germany (in the EWC there were only three). Countries with a small workforce may renounce their mandates, but are not obliged to. For countries with several sites, but with no central works council, there are national meetings of local works councils with their SE-representatives. The SE agreement has hereby closed a loop-hole in national labour legislation, similar to the Freudenberg conglomerate example in March 2012 (see report in EWC News 2/2012). On the negative side, the five member steering committee can only physically meet once per year. Further meetings take place via teleconference. Additional meetings are only possible in extraordinary circumstances. The deadline for the consultation procedure is a problem: an opinion has to be rendered one week after the meeting, with an answer from central management within a further week. Any restructuring may be implemented immediately afterwards. This straight-jacket schedule makes a well-founded business analysis almost impossible. The precise description of the consultation procedure within the SE agreement resembles a flowchart, as already defined by other companies (see report in EWC News 4/2013). SAP’s surprisingly good SE agreement is outstanding for another reason. Until 2006 there had been no works council for the 14,000 employees in Germany at the time. The very first election had to be enforced through legal action. Since then management has obviously come to appreciate the benefits of social dialogue and co-determination. 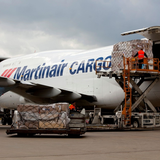 A framework agreement covering the implementation of European-level changes was concluded for Martinair Cargo on 9 December 2013. The contracting parties were central management and the European works council of the parent company, Air France-KLM. The increased use of electronic tools and systems in freight logistics’ order processing requires more flexibility. In forthcoming changes, management has committed itself to transparency in informing the EWC’s Cargo working group as well as national employee representative bodies. The agreement particularly strengthens the countries with a small workforce. The core countries, France and the Netherlands, where the airlines national works councils have already solid structures in place, have therefore been explicitly excluded. In June 2013 the EWC had already concluded a similar agreement for ground and service personnel (see report in EWC News 2/2013). An agreement for Corporate Social Responsibility (CSR) applicable throughout Europe was concluded on 7 January 2014 in Paris between EFFAT, the European Federation of trade unions for the food industry, and central management of Pernod Ricard. The agreement was developed with the support of the European works council. In addition to the usual contents it also contains passages on the implementation of restructuring as well as on environmental aspects. Central management provides an annual monitoring report on compliance to the agreement. In urgent cases the EWC or its steering committee can intervene at short notice. A framework agreement on social responsibility and development was concluded on 26 March 2014 on the sidelines of Michelin’s European works council plenary meeting in Valladolid (central Spain). It represents the first transnational agreement since the EWC was established in 1999. Three main priorities are covered: equal opportunity and anti-discrimination, socially responsible management of restructuring as well as occupational health and safety. In the future, an annual report on the implementation of the agreement will be communicated to the EWC. A list of topics soon to be on the agenda of further transnational negotiations was also drawn up, including social standards for suppliers and service providers. A world-wide applicable framework agreement on social standards was signed on 17 December 2013 between Solvay’s central management and the Global union federation industriALL at the company headquarters in Brussels. It puts special emphasis on industrial safety as well as on environmental protection and includes suppliers. A joint delegation will examine compliance to the agreement twice yearly in a country selected by trade unions. The Solvay European works council had already concluded a Charter for sustainable growth and social responsibility with central management in 2008 (see report in EWC News 4/2008). Central management of Loomis signed an international framework agreement with trade unions on 19 December 2013 in Stockholm. The cash and valuables handling firm is present in twelve European countries as well as in Turkey and the USA. The agreement is of particular significance in the latter two countries where it is well known that collective protective rights are often violated. The signing of a joint declaration by Metro’s central management and UNI, the European Union Federation for skills and services was announced on 3 February 2014. Previously the Düsseldorf based retail group with almost 300,000 employees was unwilling to sign any binding agreement and, in 2005, unilaterally released a set of guidelines on fair working conditions. The European works council was able to enforce a parity-based monitoring commission on the subject for the first time in 2011 (see report in EWC News 1/2011). The European Trade Union Institute (ETUI) in Brussels released new online info-graphics on strike figures for 28 countries at the end of January 2014. Apart from a European comparison it is also possible to consult data for each individual country. Still topping the statistics, which cover two decades since 1991, are such countries as Spain, France and Italy, where there have been general strikes, over and over again, against their respective governments. There were particularly few strikes in Central and Eastern Europe, especially in the three Baltic States. The only exception hereby is Romania, where strikes are a little more frequent due to better trade-union structures. In Western Europe, Germany and Switzerland are at the bottom of the statistics. For many years the Hans Böckler Foundation has been publishing a data-map on the economic and social situation. Data is presented on the job market, on social security, on collective bargaining and trade union membership in comparison with the EU. The data-map is available in German and English. In February 2014, LIGA, the Hungarian trade union confederation, launched a bimonthly English-language newsletter, to present its activities and international projects. One quarter of all Hungarian union members belong to trade unions affiliated to LIGA. It is today, the second largest confederation of the country and was founded in 1988 from independent trade unions who were advocating a change of system. LIGA did not take part in the merger of three other confederations, which was announced in May 2013 (see report in EWC News 2/2013). At the turn of the year 2013/14, EFFAT, the European Federation of food workers’ unions, launched a new website for employee representatives in the meat industry. Apart from up-to-date news, there are also videos on the work of employee representatives from five countries, including Vion Food (Scotland), Danish Crown (Denmark) as well as Campofrío (Spain). At the beginning of April 2014 a study on the structure and dynamics of the European meat industry was also published. We have gathered numerous other interesting websites into a collection of links. The 4th edition of this reference book on the German Works Constitution Act was published at the turn of 2013-14. The appendix presents a detailed and commented legal analysis of over 170 pages on EWC legislation and on employee participation in the SE. It also includes latest court rulings, e.g. the Visteon EWC court case in Cologne (see report in EWC News 4/2012). Both publications are only available in German language. The 14th edition of another reference work was published in January 2014, in good time for the German works council elections. The authors, Däubler/Kittner/Klebe/Wedde, devote a special appendix to the work of transnational works councils. It contains a 105-page commentary on German EWC law as well as on SE participation legislation and the work is supplemented by a CD-Rom and a glossary booklet. The authors have already integrated the new legal basis for European works councils and current court rulings. This brochure was released in January 2014, as a special edition of the European Commission’s newsletter, to celebrate the 15 years of existence of industry-level social dialogue. 27 success stories in individual sectors are presented on 95 pages. EU social dialogue is an institutional exchange between trade unions, employers' associations and the European Commission on social policy issues. It is part of the legislative process in labour and social legislation and is laid down in the fundamental European Union treaties. 40 industry sectors have such dialogue forums. In March 2014, the European Trade Union Institute (ETUI) released its annual report "Benchmarking Working Europe". It contains statistical analysis, carried out by a team of researchers in eight key areas and draws political conclusions. This includes the macro-economic situation following the harsh austerity policy, developments on the job market, the de-regulation of labour legislation, collective bargaining, occupational health and safety and current trends in workplace employee representation within the EU countries. The publication has 132 pages and is available only in English. Supporting slides may be downloaded. We have gathered further publications into a collection of literature. A seminar for the European works council of the Airbus Group (the new name for EADS) took place in Bremen from 21 to 23 January 2014. With the support of the EWC Academy, representatives developed the key elements of a structured consultation procedure for the planned merger of the two divisions, space and defence, and the announced elimination of several thousand jobs. A major goal of the employee representatives is to avoid any compulsory redundancies. The restructuring will have also an effect on the internal structure of the EWC, which is composed of several European divisional committees (see report in EWC News 1/2012). The annual conference for European and SE works councils took place already for the sixth time running, on 27 and 28 January 2014 in Hamburg. 30 participants from Germany, Austria, Portugal, the UK and the Netherlands from 22 companies exchanged information on current trends. EWC members from the Unilever consumer goods group, the airline Air France-KLM and the market research firm, Nielsen reported on their practical EWC work and the organization of consultation procedures. On the second day a visit to the works council of the Norsk Hydro aluminum plant in Hamburg took place including a visit to the factory. The EWC agreement of Dana has not been modified since it was established in the year 2000. An adaptation to the new European Union standards was drafted with the support of the EWC Academy in a meeting at the Essen site (photo) on 25 February 2014. Negotiations with central management are to begin shortly. The agreement is subject to German legislation. The last seminar for the EWC took place in December 2012 (see report in EWC News 4/2012). On 28 March 2014, the EWC Academy advised Bausch & Lomb EWC members in Hamburg on possible future options for their council. The US medical company manufactures contact lenses and has a EWC in place since 1996 under British jurisdiction. 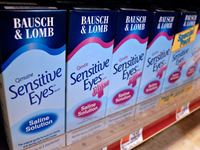 In August 2013 Bausch & Lomb was acquired by the Canadian pharmaceuticals group, Valeant, who has not yet itself established a EWC. Further strategy is to be discussed during the next EWC meeting. The EWC Academy and its forerunner organization have been organizing and delivering conferences and seminars for the members of European works councils, SE works councils and Special Negotiating Bodies since January 2009. So far 544 employee representatives from 214 companies have taken part including many of them for several times. This represents around 18% of all transnational works council bodies in Europe – not yet including the numerous in-house events of the EWC Academy. For the second time, a conference is being held for U.S. company works council members on 30 June and 1 July 2014, this time in the America House Munich. Besides presentations from experts there will be possibilities for an exhange of experience on European works council activities and on the American management culture. Works council members from European companies with sites in the USA may also participate. Klaus Franz the former EWC chairman of General Motors will moderate the conference. Current developments in EU-labour legislation and how they affect German labour law will be covered in a seminar to be held from 15 to 19 September 2014 in Strasbourg. 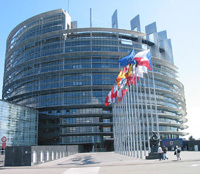 Besides a planned visit to the European Parliament there will also be discussions with the German Member of Parliament, Jutta Steinruck from the Social Democrats. The seminar is available to all employee representatives and is not limited to European works council members. A seminar is being held in the castle hotel Bad Wilhelmshöhe in Kassel (photo) from 29 September to 2 October 2014 which examines the legal basis for information and consultation particularly in relation to restructuring. How can the European works council concretely put into practice the consultation procedure and prepare a legally water-tight opinion? The seminar is also suitable for SE works council members. An introductory seminar will again take place in parallel. It is directed to newly elected EWC members and to works council members seeking information on the first establishment of a EWC. It is also suitable for SE works council members. For the fourth time already a conference is being held on 23 and 24 October 2014 in London. The meeting will be simultaneously interpreted. It is particularly aimed at all members of European works councils falling under British jurisdiction, as well as at employee representatives wishing to familiarize themselves with the British system. The following dates are planned for 2014; from 6 to 12 July 2014 a language course in the English seaside resort, Eastbourne and from 12 to 18 October 2014 a language course near Dublin.